It’s the most wonderful time of the year. No, not Christmas. Not Thanksgiving. And, definitely not Halloween. 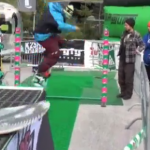 It’s snowboard season and it will be here before you know it. The mornings are getting cooler, the leaves are starting to turn colors, and the mountains of Colorado, Utah, and California are making their preparations for the season. So, what are you doing to get ready? The snow blowers are being turned on this weekend across North Carolina. 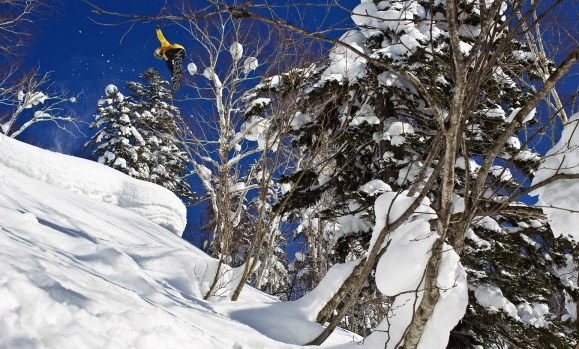 I know…it’s embarrassing to say that with a straight face to the snowboarders out west. But that’s snowboarding life down here in the dirty south. 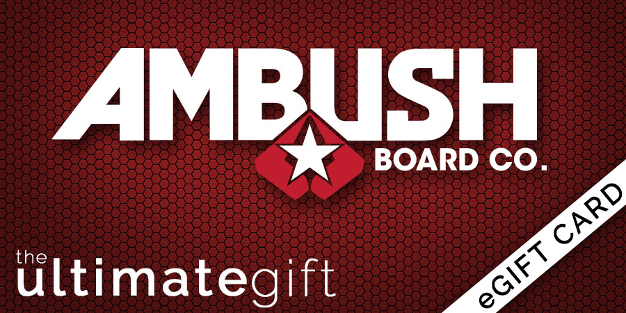 The point is…snowboard season is kicking off and we at Ambush are upping the ante. 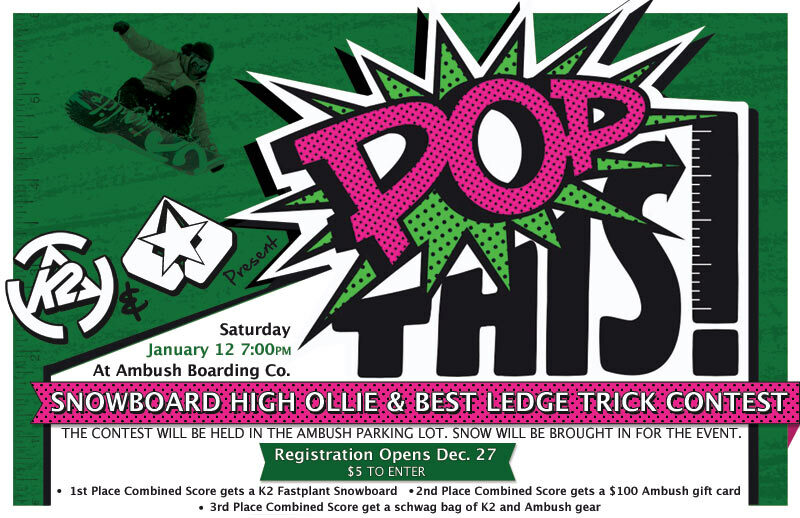 From November 9th – 13th, all 2012 snowboards, boots, bindings, and outerwear will be discounted 20% off. No weird gimmicks…just a straight 20% off. No bait and switch…simply the best savings all year long. You won’t find that deal anywhere. 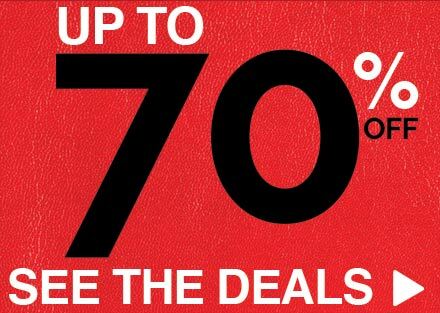 SALE VALID IN-STORE ONLY. An historic October snow storm just clobbered the Northeast dropping more than a foot of snow on most towns. 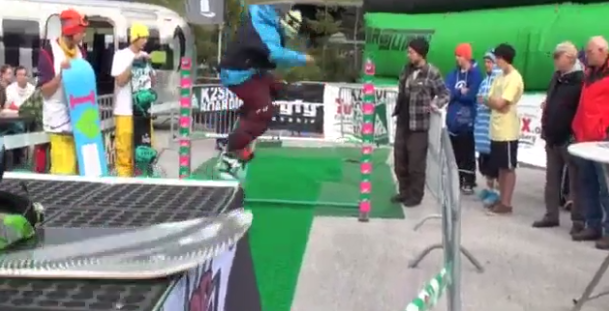 I’m sure the resorts up there are rushing to be the first to open their lifts for snowboarders to take advantage of some early season riding. 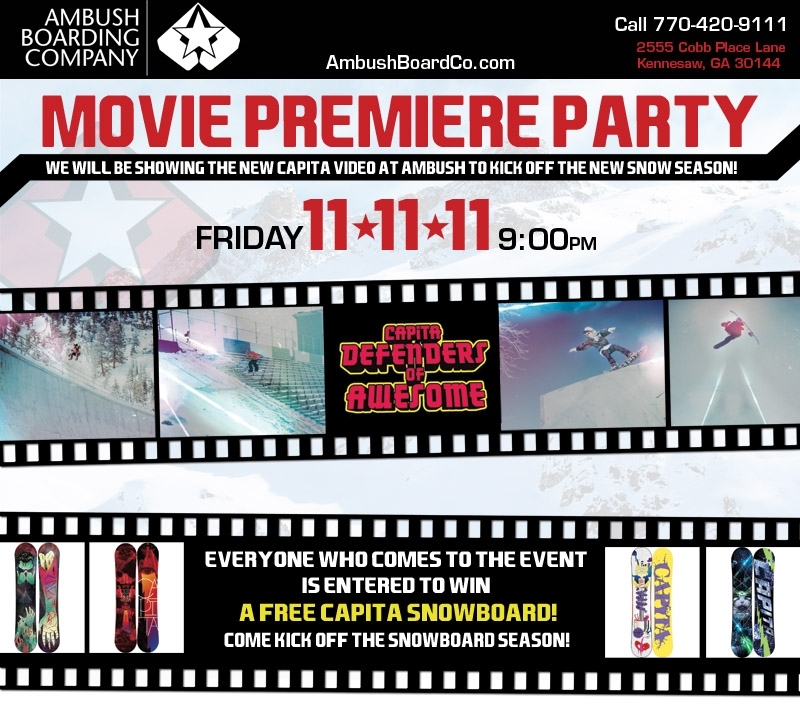 We down here at Ambush are celebrating the beginning of snowboard season our own way…by giving away a FREE Capita snowboard. 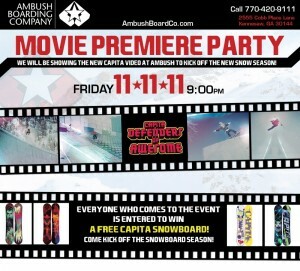 Kick off the snowboard season with us on Friday, 11-11-11 at 9:00 pm. We will be showing Capita’s latest video Defenders of Awesome and everyone in attendance will automatically be entered to win a Capita snowboard of their choice. 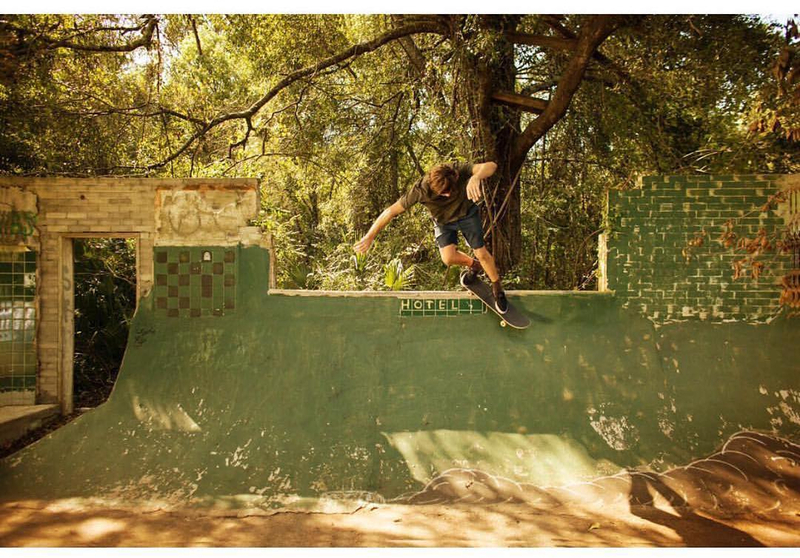 Last updated by Rhett at January 25, 2016 .